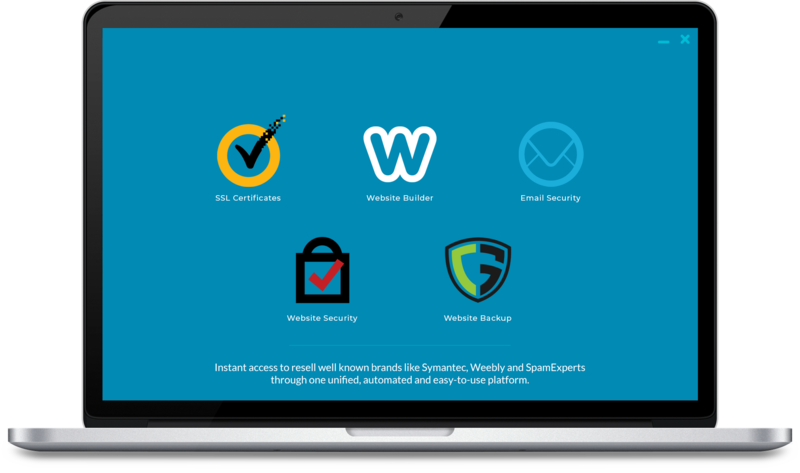 Giving you instant access to resell well known brands like Symantec, Weebly and SpamExperts through one unified, automated and easy-to-use platform. Highly automated, WHMCS MarketConnect allows you to grow your product line-up without increasing costs. Increase your average revenue per customer by offering value added services. Set your own margins for all the products you sell with our highly competitive tiered pricing. Everything from initial setup, to purchasing, provisioning, deployment and management is all 100% automated. Unified access to sell products and services from Symantec, Weebly and more. With ready made landing pages and promotional widgets, you get everything you need to start selling. Get exclusive access to products and services not available through other platforms. Make money selling website, security & email products. MarketConnect is a digital services platform from WHMCS that enables you to buy and resell value added services to your customers using WHMCS through one single centralised platform. MarketConnect gives you access to the following services. 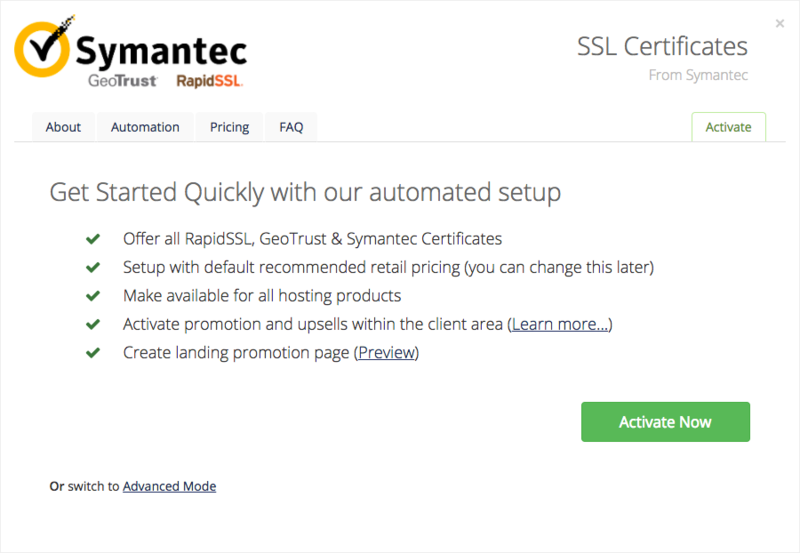 Symantec is the #1 brand in online web security and with MarketConnect, you can sell SSL Certificates from all 3 of their widely recognised brands with full hands free automation. 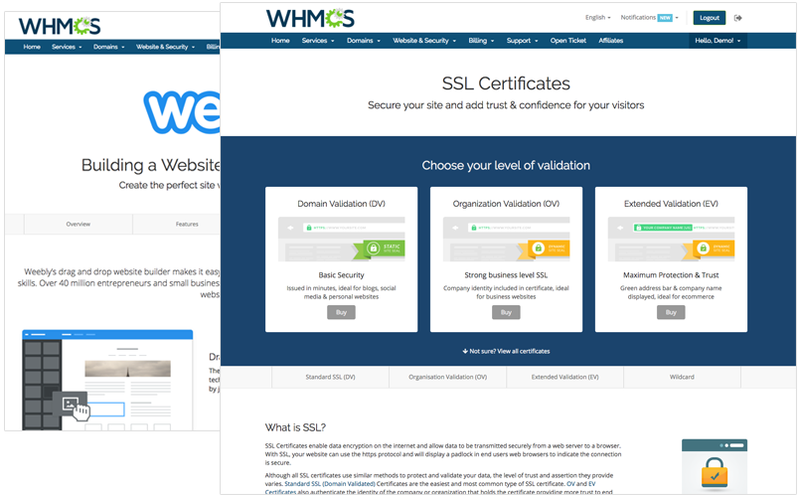 SSL's can be purchased and configured for use with all web hosting control panels and services. When purchased for a cPanel, Plesk or DirectAdmin hosting account managed via WHMCS, WHMCS MarketConnect will automatically generate a CSR and install the certificate upon issuance for a fully automated purchasing and deployment experience. The drag and drop website builder from Weebly makes it easy for customers to create a site, blog or ecommerce store without any technical skills required. With a variety of modern stunning themes, your customers can create a professional looking website allowing them to get online faster than ever. Give your customers added peace of mind with independent off-site daily website backups. CodeGuard's self service portal allows users to access, download and restore their website on-demand. Plus with built-in WordPress Management, backing up, upgrading and restoring WordPress sites has never been easier. Cyber attacks are on the rise, increasing by 40% in 2017 alone meaning protecting you and your customers websites from attacks is more important than ever. Now you can with Sitelock's range of cloud-based website protection services. Its 360-degree monitoring finds and fixes threats, prevents future attacks, accelerates website performance and meets PCI compliance standards for businesses and websites of all sizes. Offer your clients rock solid email filtering with self-learning smart technologies that catch almost 100% of spam before it ever reaches the inbox. Email archiving is also available providing a solution for secure backup of email. Ideal for legal compliance, secure storage of intellectual property emails and for recovering lost or accidentally deleted emails. Learn more and discover pricing information by navigating to Setup > MarketConnect within your WHMCS installation. Create your free WHMCS Marketplace account. Begin selling products with our one-click instant setup. You're in control, set pricing and promotional features. Start promoting your new services. Explore the features and benefits of MarketConnect from WHMCS. With instant free registration and one-click automated setup, it's easy to get started with WHMCS MarketConnect. Simply create an account and you can begin selling any of the services in just a couple of short clicks. Along with automated product setup, there's also ready made landing pages to help you promote the services. We've done the hard work so you don't have to. 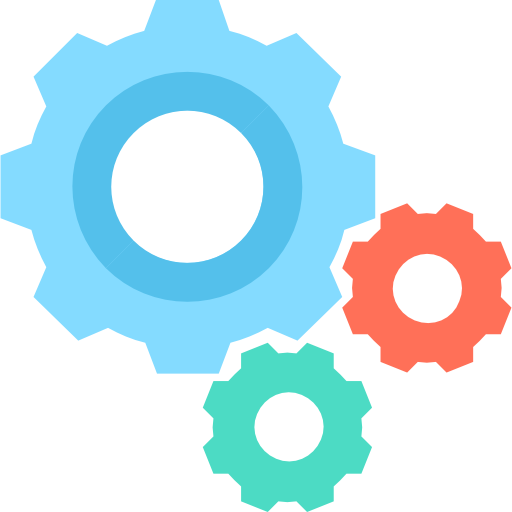 Everything from initial setup of the products and services, to provisioning, renewals and management is all automated. And best of all, it can all be done without ever leaving your WHMCS installation. Our pre-made landing pages give you everything you need to start selling and promoting MarketConnect services quickly and easily. Developed in partnership with the service providers themselves and optimised for mobile, the landing pages are designed to educate and inform users about the services with clear and concise information. The landing pages are fully templated, so you're free to make changes, customise and expand them further to fit your needs. Built-in upsells provides users with recommended products based upon their initial selection(s) for all MarketConnect products. Promotions integrated into the client and shopping cart checkout experience are also available to help maximise conversions. 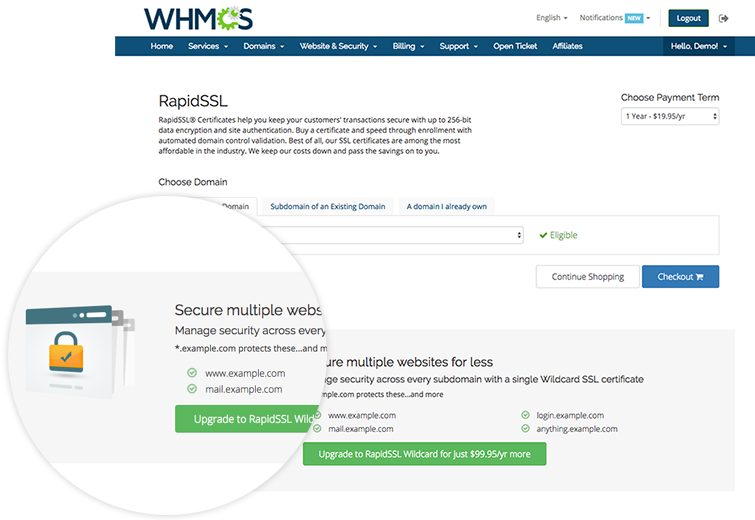 In this example for SSL, selecting a baseline DV SSL Certificate is suggesting upgrading to a higher level Wildcard certificate. Your customers have self-service access to manage and login to their MarketConnect services from your WHMCS client area, so it's no extra work for you. Services purchased through MarketConnect renew automatically, but only if your customer renews with you. You never have to worry about cancelling services manually. You can register, activate and begin offering MarketConnect services without depositing any funds. Just add funds when you receive your first order. You can deposit funds using PayPal and all major credit and debit cards. MarketConnect has no additional requirements and is available in WHMCS 7.2 and later. More services will be coming to the MarketConnect platform soon. Subscribe for updates. At the heart of MarketConnect is full end-to-end automation. Selling SSL just got easier. The whole process takes only a couple of minutes from start to finish, with no manual involvement required. Support for Plesk and DirectAdmin coming soon. Weebly Site Builder access is provisioned instantly upon checkout. In addition to automated provisioning, our Weebly integration also supports the following. SpamExperts Email Solutions are provisioned instantly upon checkout. In addition to automated provisioning, our SpamExperts integration also supports the following.